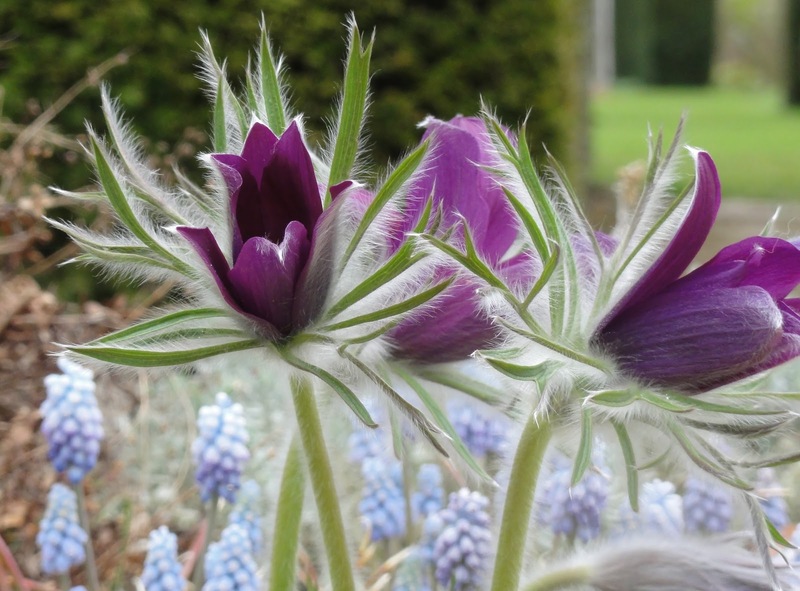 One of the most tactile flowers I can think of, Pulsatilla vulgaris, is also known as the Pasqueflower. Pasque comes from 'Easter' (Pasqua the Italian - finally high school Italian pays off!) and it predictably flowers around Easter. As you can see from the photo, it is very hairy and this invites you to touch, to stroke it. It is pretty much a fuss-free alpine perennial, and mine flower at home in my north-facing garden close to the house. So it can be placed in sun or shade, though in a shady space they will flower a few weeks later. * It might look delicate, but it is very hardy, surviving the long cold winter of 2010-11. Bees like its pollen too, so it has wildlife value, and it's seed head is also very pretty, extending the period you can enjoy it. Finally, it is happy in containers, which means you don't even need much of a garden to grow it in. 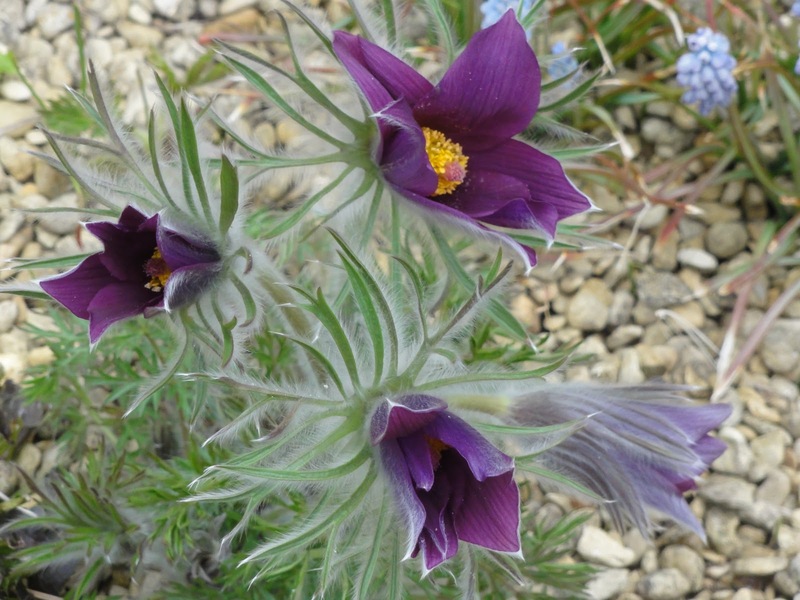 Pulsatilla vulgaris is a beautiful flower that delights anew each year. I wouldn't be without it. *These photos were taken at Waterperry Gardens at the end of March.